Text: Mike Sullivan. She has worked for a number of companies famous for design, such as Marimekko, and has also produced her own collections. She has won several international and national design prizes including the Marimekko Design Prize in both 2004 and 2006, the Baltic Fashion Award in 2005, and the Ornamo Design Prize in 2009. Her work always has a message, for example, that beauty is a real value beyond an ascetic sense; as such her designs really do have a meaning beyond just modern trends. Her passion is for working in different areas of design with various materials in order to test limits and produce something unique. My name is Marita Huurinainen. I have always worked with design and fashion. 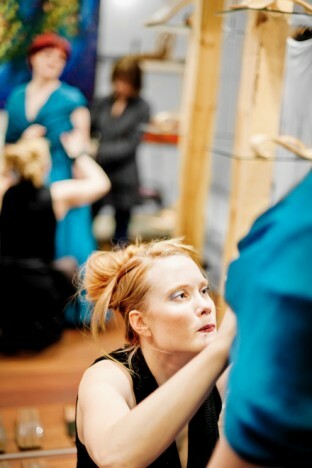 First public audition was when I designed and made my outfit for my 5th grade graduation day… Much later, I graduated from Helsinki University of Art and Design 2006 as a Fashion Major. I had also studied in Musashino Art University in Tokyo and in St.Petersbourg, Russia. Since then, I have worked with various Finnish and international companies, such as Marimekko. I like to always test the limits of what is possible. I try different materials, and the fine limit between art and design is very interesting. I like to have meaningful concepts and I believe a design should be long lasting – not only created for one season. In best design beauty and functionality form a perfect balance. I have been working for a long time developing a new type of wooden shoe – WAVE. Wave is made of bended wood in a way that the heel is bended from the same piece of wood. The technique used in the process is familiar in furniture tradition, but as a shoe, it is an item one of a kind. When I first started the project years ago, I was told that it is not possible to make it. Yet, now we are successfully selling to some shops in Finland and other countries. This spring we also published a new style – Second Wave that also includes a men´s style. Another project is WILD FINNSIH FUR. We have developed a trademark that is telling of the origin of the fur. There are a lot of wild animals still in Finland and they are hunted for quota control reasons. We use the skin or fur of these animals in the WILD collection. The products are labelled with WFF-mark. This is an alternative for engaged fur products. Nature is very important factor in my designs. I like the solitude of the forest – also I enjoy the crowd. Busy cafes, faces. The shapes are very inspiring for me. I try to create simple and perfect forms. Helsinki is very beautiful city. It has some nice architectural locations. It is a capital – it has a lot to offer, yet it is so small that one can easily reach anywhere with public transport. Helsinki is a mixture of metropolitan and nature. One can start a canoeing trip from the very city centre, and within ten minutes one is surrounded by pure nature. Please tell us about your favourite places in Helsinki. This spring we opened an own flag ship store Marita Huurinainen Design Gallery. Please, visit us there. 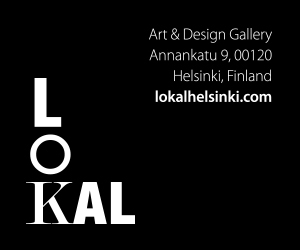 It is located in Helsinki Design District area. Also, I recommend Café Regatta (Merikannontie 10) on the seaside in Töölö.. Try “korvapuusti”, delicious cinnamon roll.